Happy hump day! 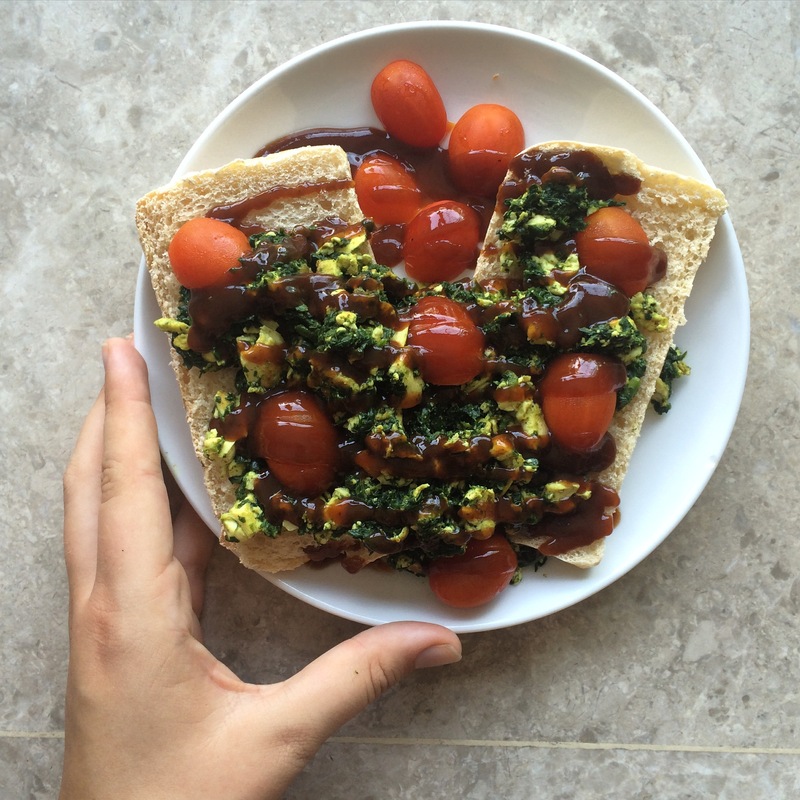 Today I’m writing another What I Ate Wednesday post; I’ve actually missed writing these. I’ve been back home in Singapore for over two weeks now. As much as I love travelling, there’s one thing I always miss: being able to cook in my own kitchen. I genuinely love cooking and coming up with new recipes. So here is what I eat in a typical day in Singapore, where I have the time and utilities to make proper meals. It might be boiling in Singapore, but that doesn’t stop me from enjoying a hot bowl of oatmeal in the morning. This time I added three tablespoons of chia seeds to my oatmeal for some extra goodness, and topped it with banana and hot blueberry compote. 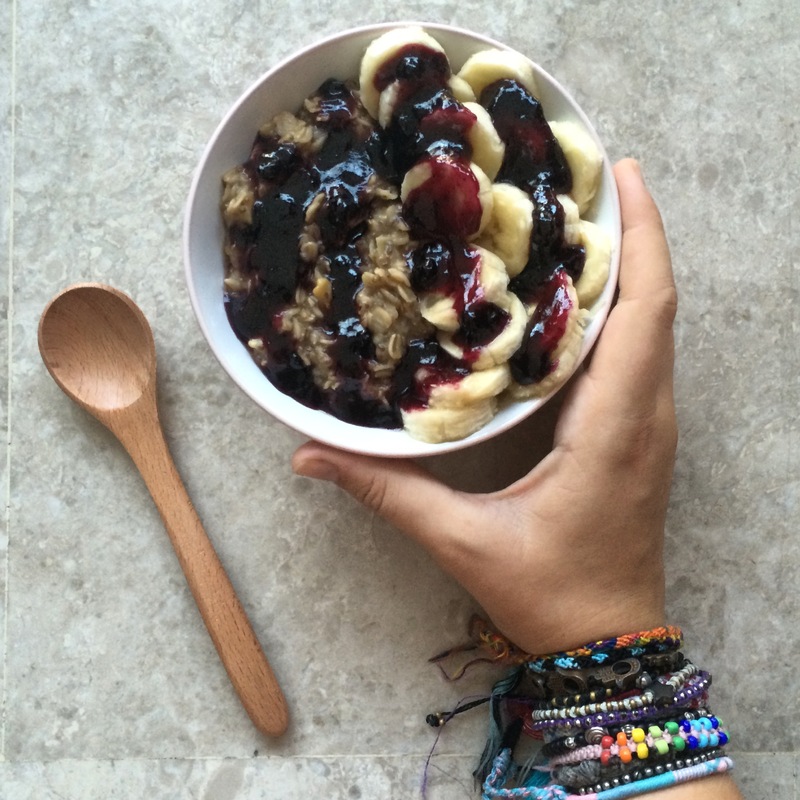 If you want to know how I make my oatmeal, check out this post! 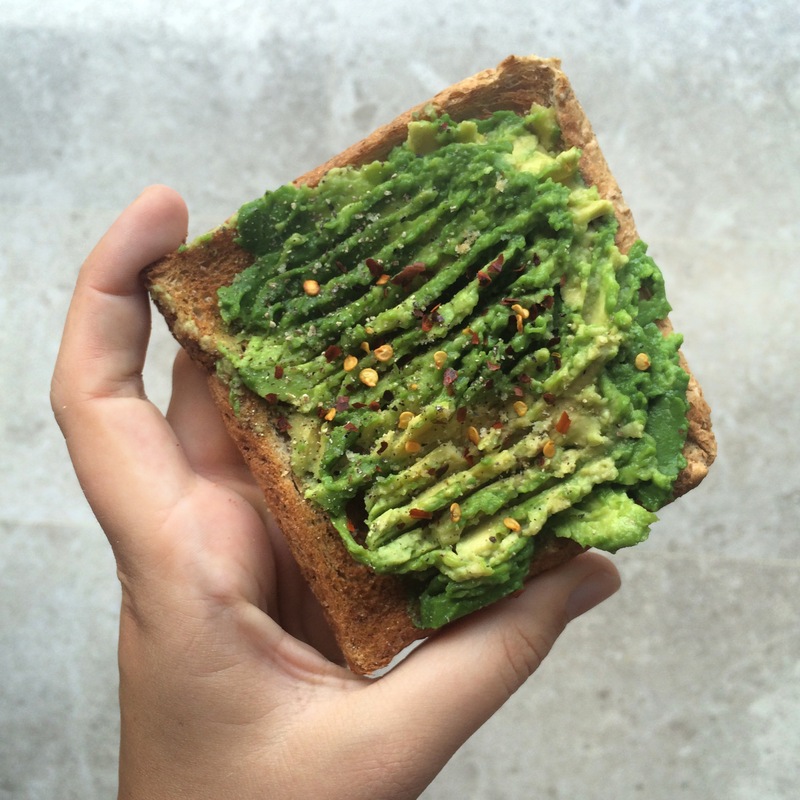 Can you ever go wrong with a avocado and a piece of toast? I don’t think so. I love having this as a snack because a) it’s delicious, and b) it’s so filling and full of healthy fats. I top mine with garlic salt, pepper and some chilli flakes. 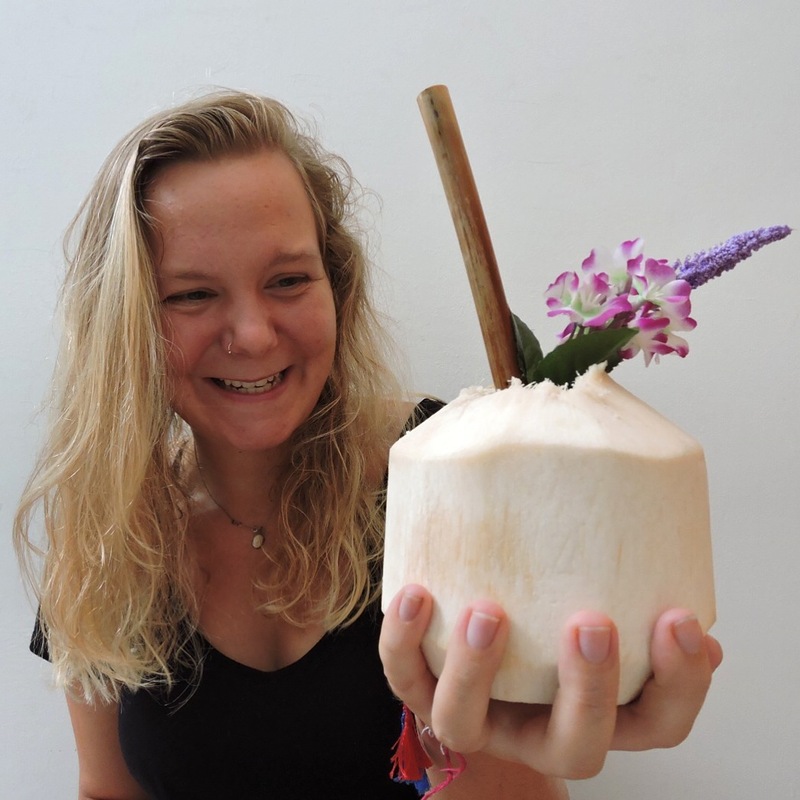 I am definitely missing the abundance of fresh coconuts available in Bali, so when I saw that my local grocery store was selling some, I had to get one. Best served cool, and don’t forget the best part; scooping out all the coconut meat at the end. Pizza party for one! 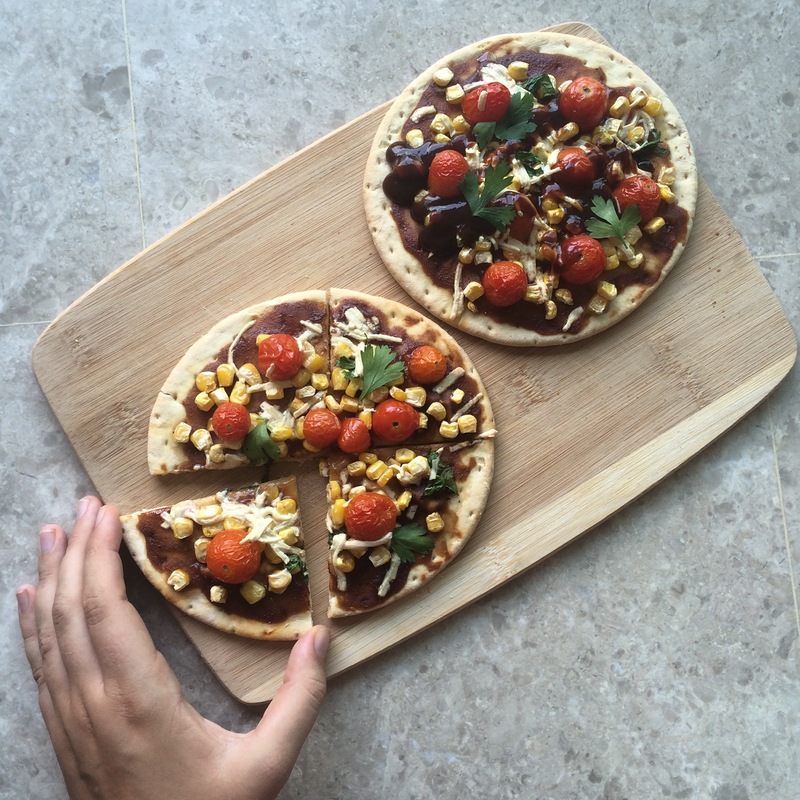 I always have frozen pizza bases on hand, for those evenings where I have no meal inspiration. Just throw on whatever you have in your fridge and put them in the oven. I made mine with a base of BBQ sauce (I told you, it’s becoming an addiction!) and topped them with corn, tomatoes, Daiya mozzarella shreds and parsley. Simple, fast and tasty; perfect for a lazy night in. What have been some of your favourite meals this past month? Let me know in the comments.